Light-up cotton candy! 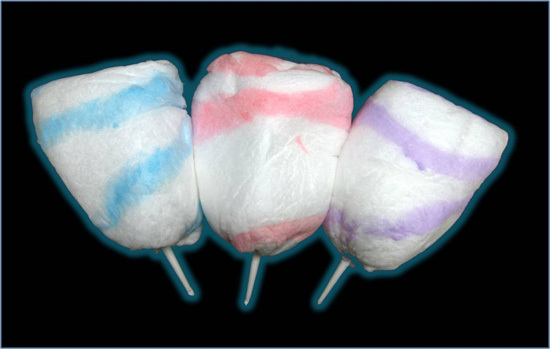 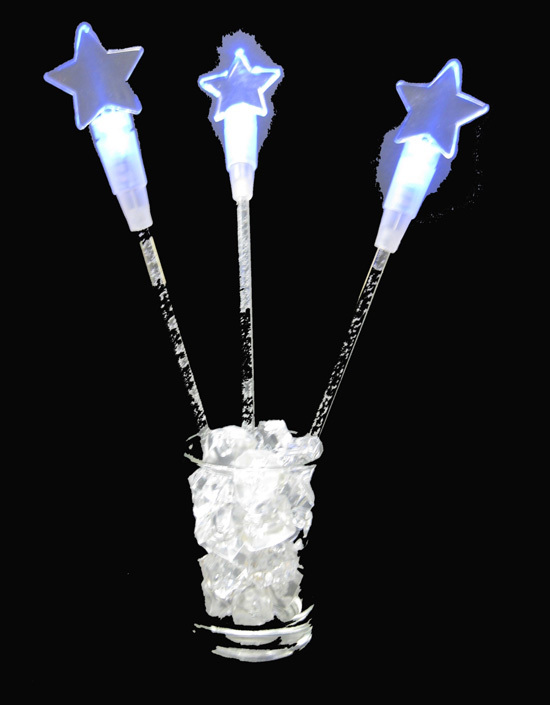 White cotton candy with a ribbon of pink, blue or purple wraps around a light-up wand. 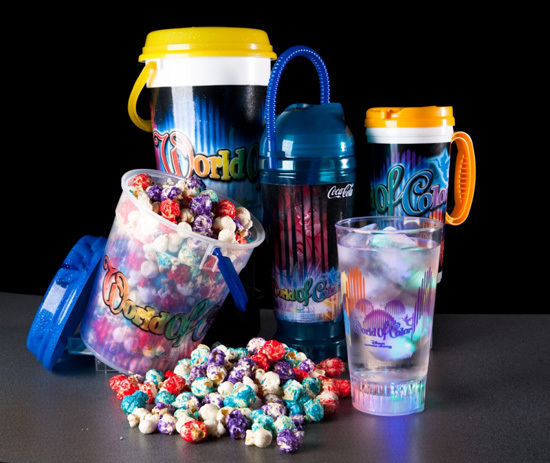 Or just eat: the “World of Color” cupcake has raspberry filling and milk chocolate frosting with a “World of Color” chocolate image. 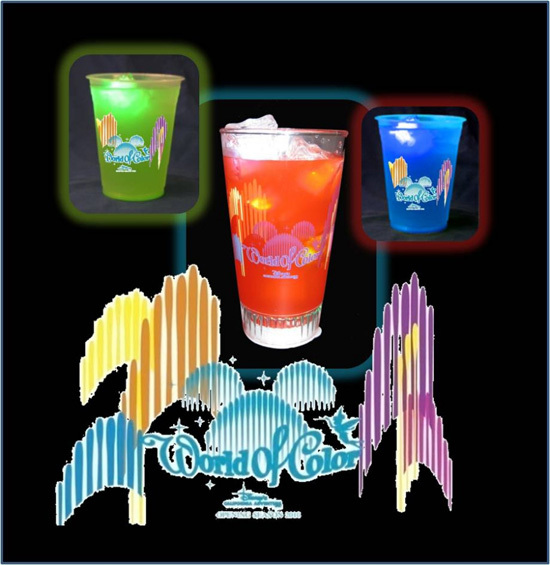 Spectrum Splash is Minute Maid Light Lemonade with a shot of flavored syrup in strawberry, blueberry or Granny Smith apple, served in a light-up “World of Color” plastic glass. Or with a kick: the Tropical Mist cocktail features Vodka X-fusion and coconut rum topped with sprite – and a light-up swizzle stick, available only at Ariel’s Grotto, Cove Bar and Wine Country Trattoria. 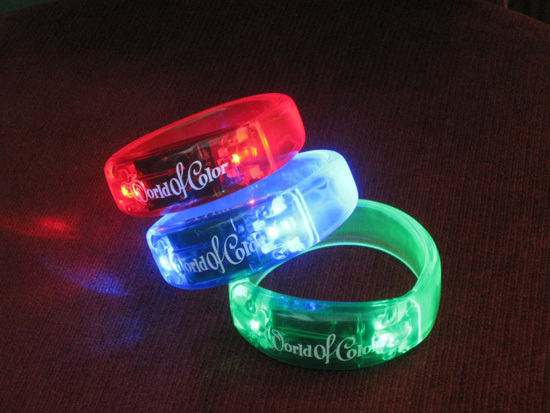 If you prefer bling, a light-up bangle bracelet comes in red, blue and green. 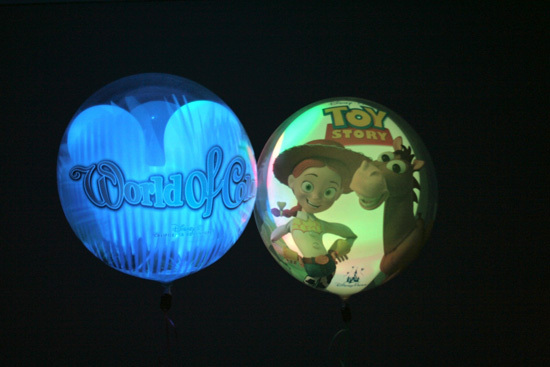 Or a “light”-er-than-air light-up glasshouse balloon.